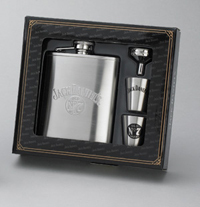 This great flask features the Jack Daniel’s Bottle design on the front. 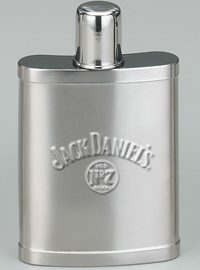 Crafted in stainless steel, this flask has a a satin finish, a captive top and is officially licensed product. 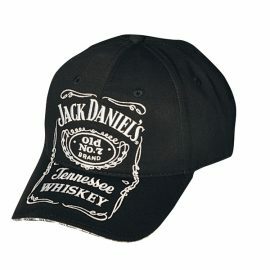 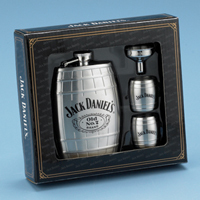 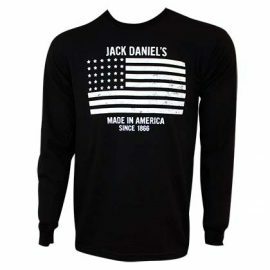 It holds 5 ounces and stands 5 3/4 inches, comes in an attractive Jack Daniel gift box.